It's the time for the Lord of the Lords — Lord Vinayaga to arrive. As we all know, he is the most merciful of all the Gods and as devotees, we have to give some more extra care and attention. 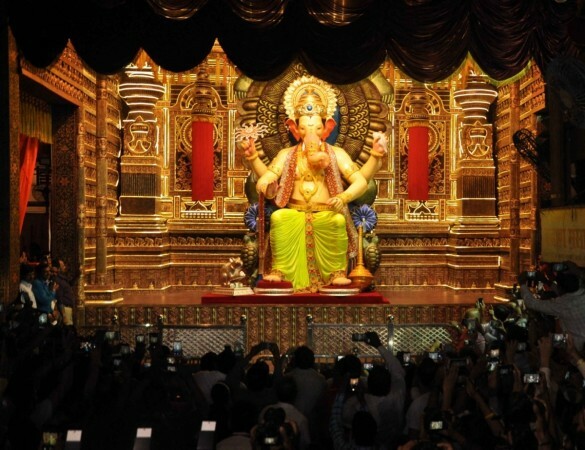 Now, we bring you the top 3 spots to see Ganapati Pandals in Mumbai and Pune. Since 1934, this famous as Navsacha Ganpati (which means the fulfiller of the wishes), Lalbaugcha Raja Sarvajanik Ganeshotsav Mandal takes care of the worldwide famous Lalbaugcha Raja.